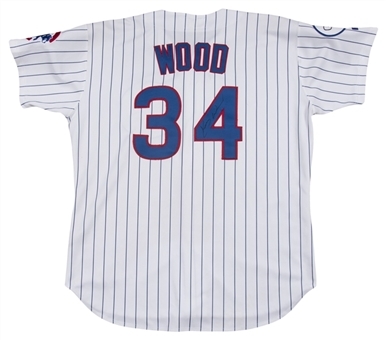 Chicago Cubs ace Kerry Wood wore this white Cubs home jersey in 1998, his rookie season. 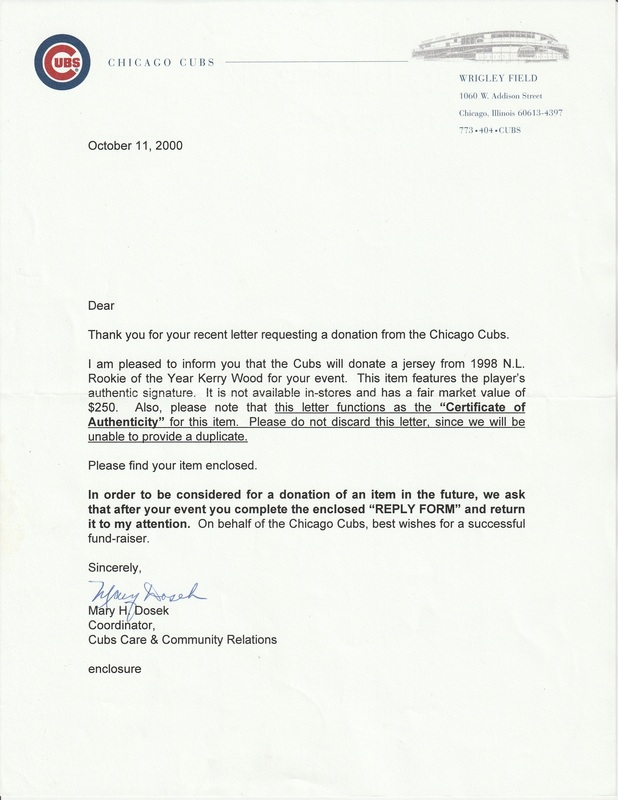 Wood, in only his fifth start of his career, pitched one of the greatest games in baseball history, a complete game shutout against the Houston Astros on May 6th at Wrigley Field that saw Wood strike out 20 Astros and allow only one hit. Although injuries would tame Wood’s blazing fastball later in his career, the big Texan struck out a MLB-best 12.6 batters per nine innings and claimed the National League Rookie of the Year in 1998. 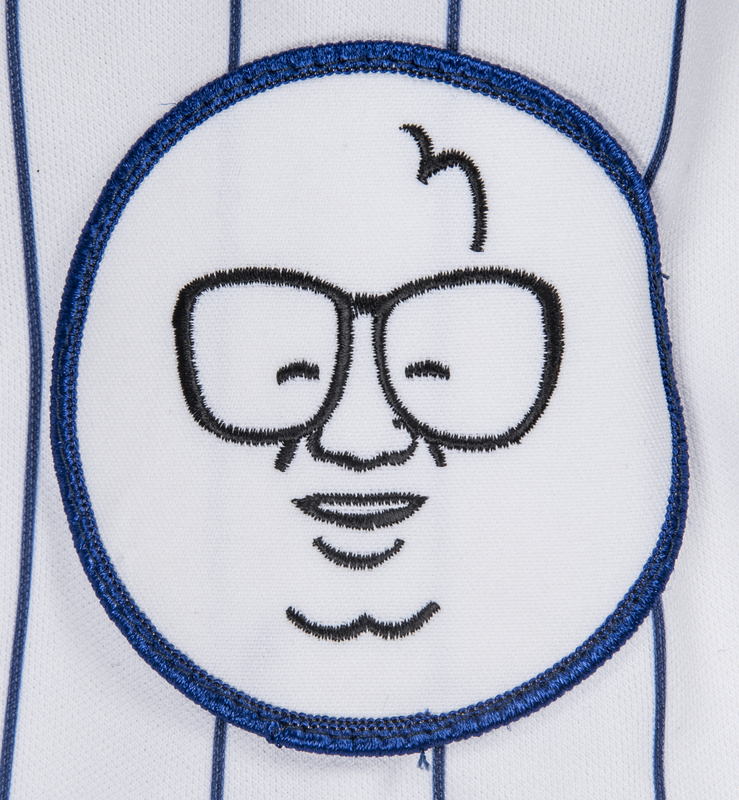 This pinstriped button-down home jersey has the Cubs logo sewn on the left chest and a restored Harry Caray memorial patch sewn on the right sleeve. 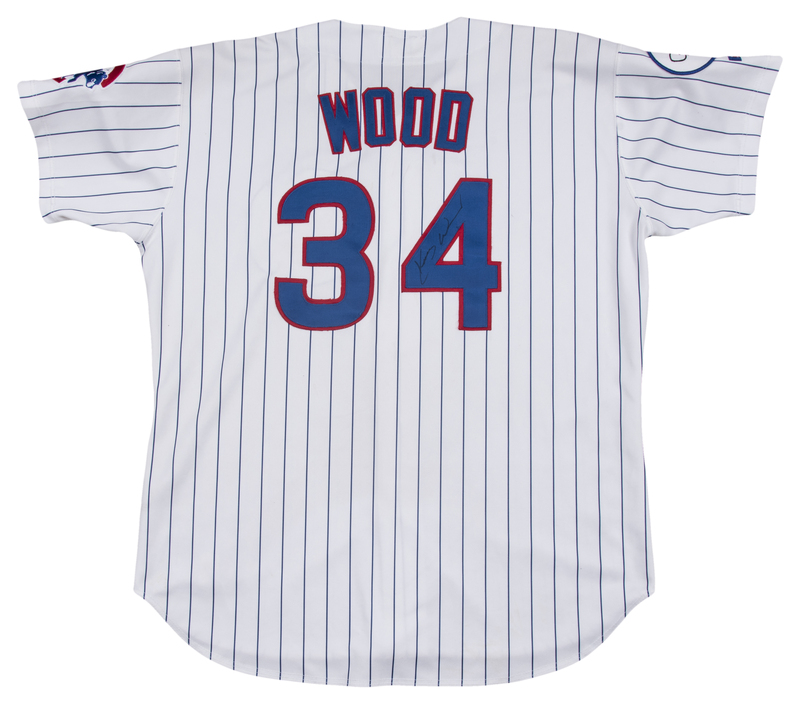 “WOOD” and his number “34” are sewn on the back of the jersey in blue and red tackle twill. 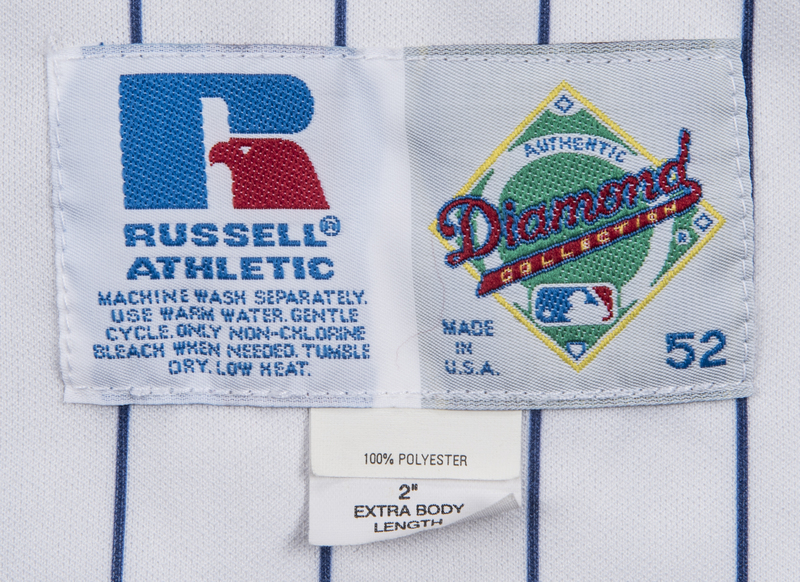 A Cubs logo is sewn on the left sleeve and a Russell Athletic logo patch is sewn on the right sleeve. 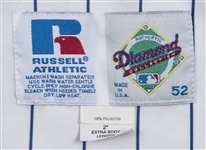 A Russell size “52” tag with attached “100% Polyester” and “2[inch] Extra Body Length” flags is sewn on the front left tail. 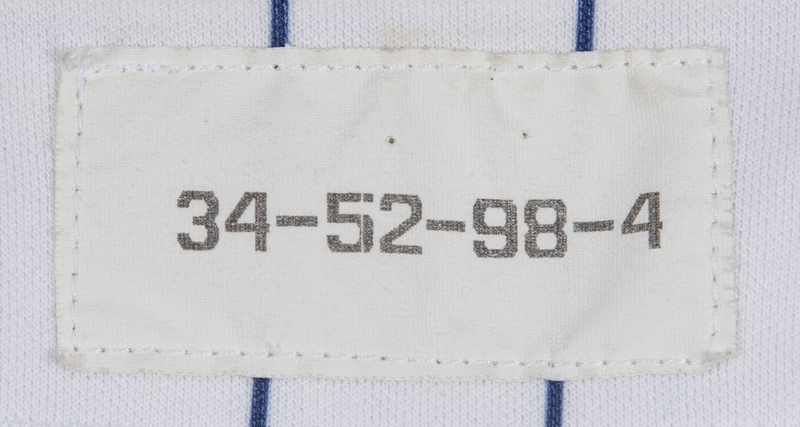 A “34-52-98-4” tag is sewn on the back inside collar. 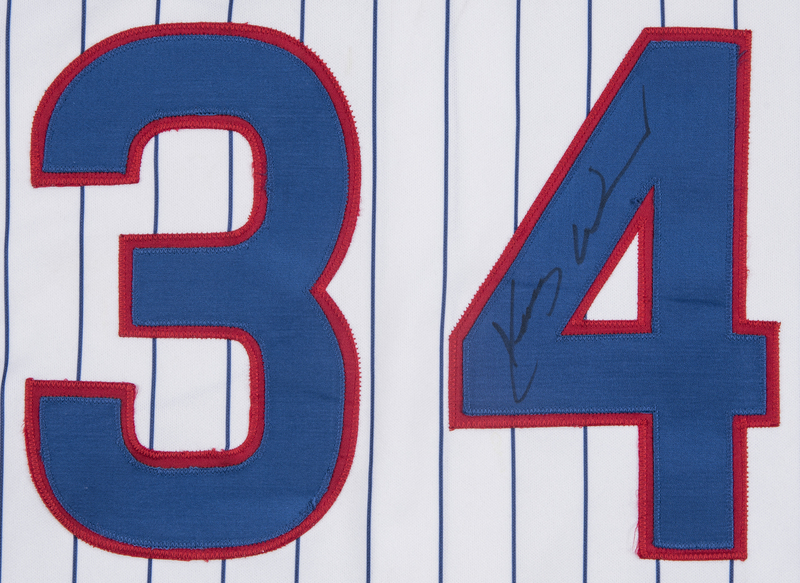 Wood has signed the “4” digit on the back in black marker. 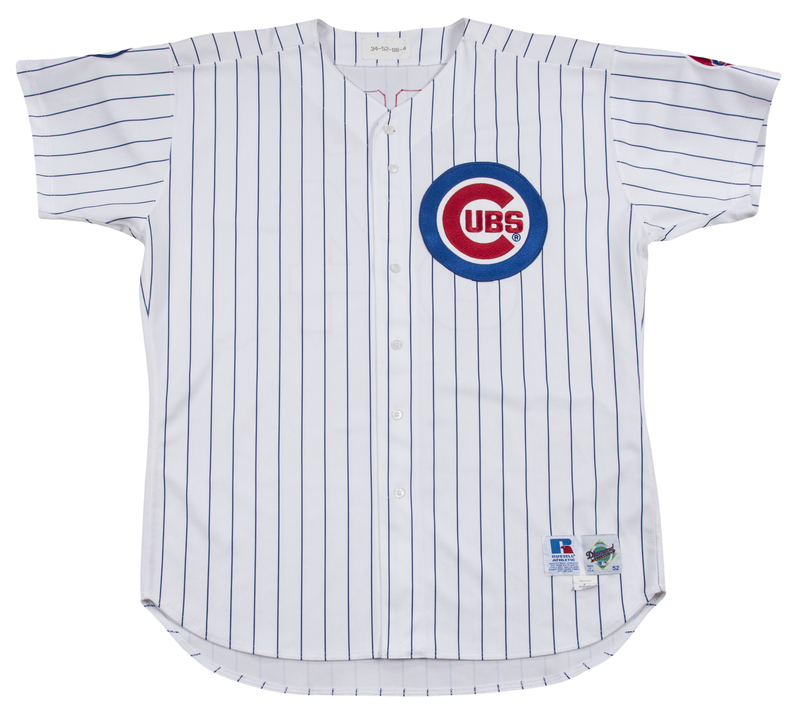 Please note that this jersey does not have the Jack Brickhouse memorial patch on the left sleeve, meaning this jersey was used before August 6th, 1998. 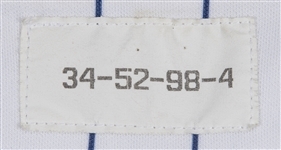 This jersey shows light wear and comes with a LOA from noted game used jersey expert Dave Miedema. 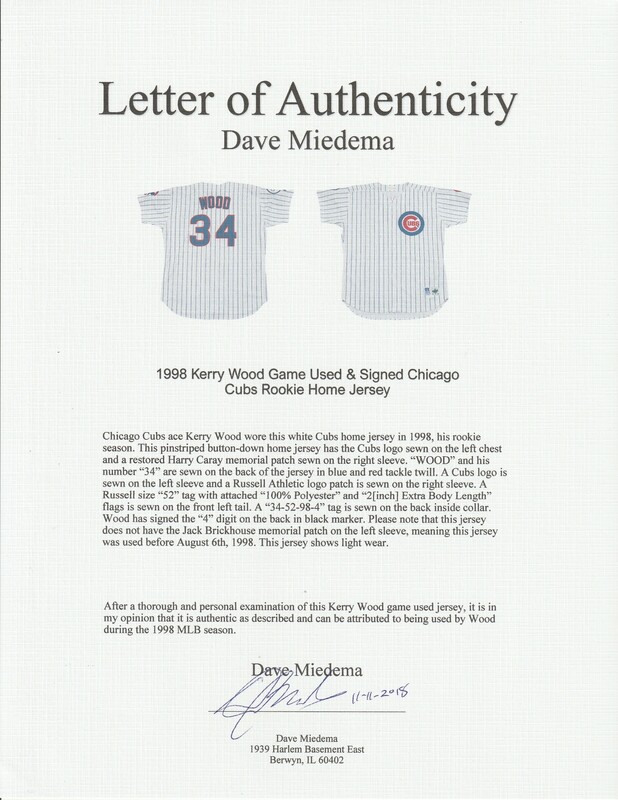 Additionally, there is a LOA from the Chicago Cubs for Wood's signature.